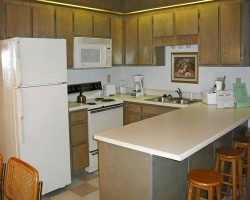 The *Villas of Foxwood Hills* is a quiet resort overlooking a beautiful wooded valley. 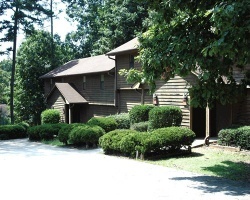 The resort features two-bedroom, two-bathroom style condos on two levels with fireplaces. The main level has a covered balcony. The upstairs level has an open balcony accessible from both bedrooms. There's a queen-size bed in one bedroom and two twins in the other. On-site amenities include an indoor pool and spa. There are many state parks for outdoor activities within an hour away. 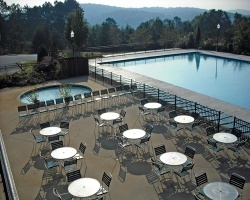 Outstanding resort surrounded by the scenic foothills of South Carolina's mountains! Buyer may receive a title fee credit, inquire for details! Price Reduce for a quick sale. Beautiful resort! Great for nature lovers with many outdoor activities!